“Love Shouldn’t Hurt” Domestic Violence Awareness Parade/Walk and Rally Saturday, October 7, 2017 9:00 am Yazoo County Courthouse 209 East Broadway Street Yazoo City, Mississippi 39194 Presented by the Office of District Attorney, Twenty-First Judicial District Akillie Malone-Oliver, District Attorney Grand Marshal: Mr. Yolanda Evans, D.V. Survivor and founder of Heavenly Help Registration/Line-Up begins at 9:00 am at Yazoo City Police Department Parade/Walk begins at 9:30 am Rally begins immediately following the Parade/Walk. For more information about Domestic Violence, please visit http://mcadv.org For information about this event, call 662-746-5429 School bands from local and surrounding areas, local businesses, elected officials, non-profit organizations, civic and community groups, local churches, motorcycle clubs, horse riders, etc. are all invited to participate and attend! 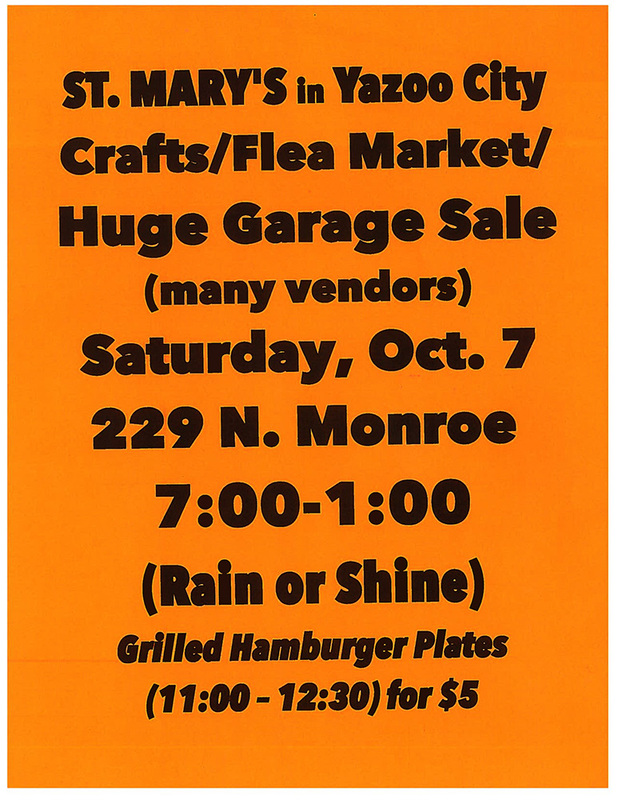 St. Mary’s Craft & Flea Market and Garage Sale St. Mary’s Catholic Church in Yazoo City is holding a huge Crafts, Flea Market, and Garage Sale with many vendors. 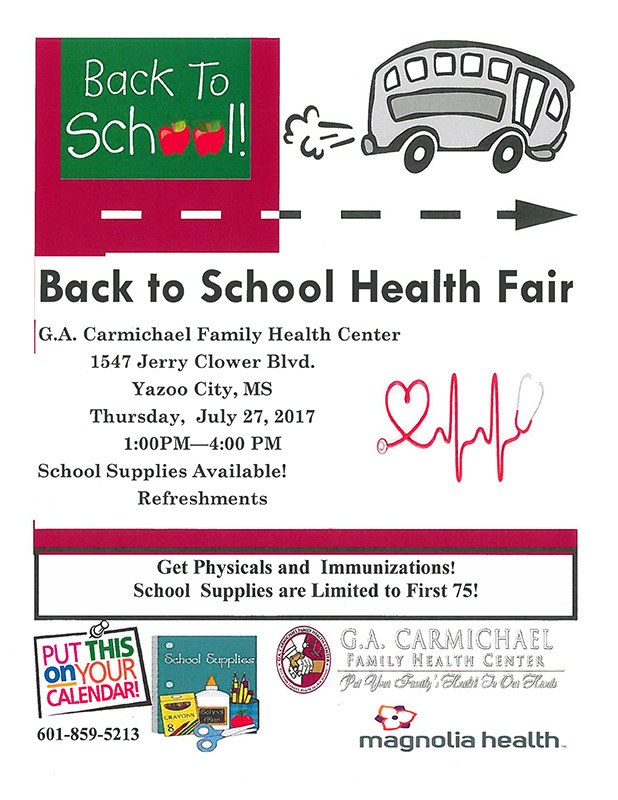 Saturday, October 7 7 am to 1 pm 229 North Monroe Street Yazoo City, Mississippi The event will take place rain or shine. St. Mary’s will also be selling Grilled Hamburger Plates from 11 am to 12:30 pm for $5 each.